There ’s been so much uncertainty surrounding Ben Affleck’s tenure as the DC Extended Universe’s Dark Knight. Some days, reports say that Affleck is going to stay. Other days, rumors start circulating saying that the actor’s going to leave the franchise. Now, with the most recent report saying that Affleck is going to leave the DCEU along with Henry Cavill, it looks like another Hollywood personality has decided to throw himself into the Batman ring, and that person is Mad Men, Baby Driver, and Black Mirror star Jon Hamm. Speaking in an interview with Graham Bensinger on In Depth (via The Hollywood Reporter), Hamm was asked how likely it would be for him to put on the cape and become the DCEU’s Batman on the big screen. Though the Mad Men star seems pretty open to the idea of becoming the Caped Crusader, Hamm explains that it all really depends on the story of the movie. 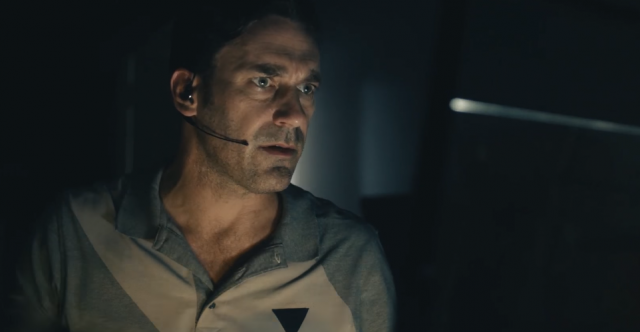 "It depends on the script, what the story is," Hamm revealed. "I am a huge comic book fan, always have been. I have read comic books since I was nine or younger. And I am pretty knowledgeable about a lot of them. And I like the genre, and I like when they are done well." Hamm has a great build that would certainly fit the Batsuit, and it’s a pleasant surprise to hear the actor professing his love for comics. This new tidbit of information from Hamm is also especially interesting because earlier this year word came out that Hamm wanted to “steal” the role away from Affleck. Though it probably doesn’t have any truth to it, fans were certainly interested in seeing Hamm as Batman, and now it looks like he’s interested in the role. What do you think? Would Jon Hamm make a good Batman?